Weight Loss and Diet In Astrology Each Zodiac Sign: Your Zodiac Sign can guide you how quickly and effective way you can lose weight and obviously with less effort.Sun and Moon both energy controls our worldly life and that manifest in the form of weather patterns, tides in ocean, constantly changing plant and animal behavior etc. In this creation nothing is constant, everything is going through a continuous changing phenomena. What is the status of something today that will not stay the same tomorrow including your physical and mental existence. That is the reason to diet effectively, you need to find out way that can accustom with this constantly changing phenomena. Because, your today’s dieting plan may not give you success after a period of time. 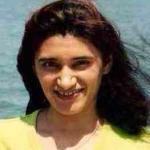 Here Astrology can play a very important role to give the success. The Sun’s placement in chart can determine the type of diet you should go for. Where Sun is posited in your birth chart that is called your Sun sign. You can combine your Moon and lagna sign too, but that can make the process bit complicated. To make it simple just concentrate on your Sun sign. Sun’ placement in your horoscope tells how you perceive this world and what inspires or motivates you. Your Ascendant or rising sign or Lagna says how the world sees or perceives you. Moon’s placement in your horoscope tells how you take or interpret all these information. Nowadays everybody is talking about diet, and Maximum diet and weight loss program refrain you from having all type of foods that you love to have, sometimes, some people overdo also in the name of dieting altogether. There are some kind of foods we basically addicted to have, when we stop having those foods just to lose some pounds mentally we go into depression and many of us just give up maintain the diet chart. We do not need to stop having every food we love, we just need to recognize ourselves by recognizing the each horoscope zodiac sign and their eating patterns and individualities. When you come to know about your ‘givens’, you can start to work with your true nature and not against them. Fiery signs like – Aries or Mesh, Leo and Sagittarius are called signs of foodies. Whether it is breakfast, lunch or dinner they just eat like beggar. Their peculiarity in food habit is they consume more than they actually need and feels also heavy each time. They do feel satisfaction as long as they are not feeling full. In case of choosing foods they always concentrate on quantity not the quality Most of the unhealthy foods come in their favorite food list. But, the fact is they face less problem while dieting, due to the fiery nature of the body calories burns up very quickly and efficiently. You might start your diet whenever the spirit-or the necessity-moves you. But remember that you will not see the dramatic results you crave unless you diet during the correct astrological cycles for your horoscope zodiac sign. If you are a fiery sign, you can start your diet when you feel like, by nature you got the freedom. But always remember to get the best result start it on the correct Dasa or Antardasa or the astrological cycle on the basis of Sun or Moon. To get the best outcome the timing is the main secret. Choose your time wisely and live well. Earth Signs – Weight loss and diet In Astrology: Earth signs Like, Taurus or Brishav, Virgo and Capricorn find it difficult to go on diet as long as they are not gaining too much weight. If you ask them the reason their answer would be either they do not get time or ‘let it go for now, will see it later. 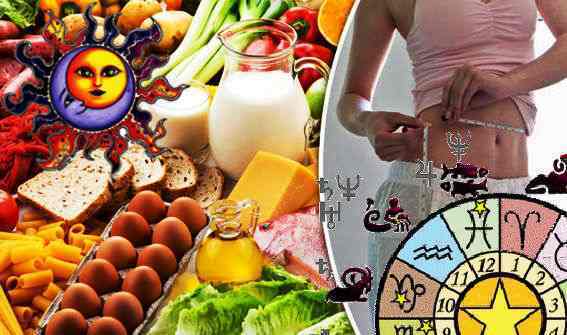 Air signs – Weight loss and diet In Astrology: Air signs like, Gemini or Mithuna, Libra and Aquarius, find bit hard to lose weight due to their nervous energy. Their diet types are bit faddy. They go on and off diet very frequently. This is their weakness. They should always maintain a diary of their diet program. Water signs – Weight loss and diet In Astrology: Water Signs, Cancer Or Karkat, Scorpio and Pisces natives gain and lose weight very frequently, it is not fat that makes them bulky, rather water retention, what is also called water weight. They should avoid foods related to root vegetables as much as possible. Eat: Dark colored rice, bananas, organic product juices, olives, tomatoes, onions, lettuce, cauliflower, cucumbers, spinach, radishes, broccoli, beans, lentils, pumpkin, walnuts, figs, dried apricots, garlic, and mustard. Stay away from: Fiery nourishment, and dairy items. Eat: Entire grains, entire grain oats, pears, apples, oranges, strawberries, root vegetables (e.g., potatoes, carrots, and radishes), onions, olives, figs, and garlic. Eat: Plums, oranges, grapefruit, grape juice, raisins, apples, lettuce, cauliflower, spinach, carrots, celery, green beans, tomatoes, vegetarian yogurt, almonds, cayenne, garlic, and ginger. Keep yourself away from: Espresso, root vegetables (e.g. potatoes and radishes), yeasty nourishments, and refined sugar. Eat: Entire grains, oats, apples, grapes, strawberries, raisins, steamed vegetables, spinach, tomatoes, peas, carrots, corn, nondairy cheeses, veggie lover yogurt, nuts, and almonds. Eat: Apples, oranges, pears, steamed vegetables, cabbage, celery, corn, carrots, tomatoes, broccoli, soy yogurt, nuts, dates, figs, cayenne, garlic, ginger, and protein bars. Keep yourself away from: Espresso, yeasty nourishments, and refined sugar. Eat: Wheat, entire grain rye, rice, oats, organic products, bananas, steamed vegetables, broccoli, cabbage, cauliflower, tomatoes, beets, pumpkins, cucumbers, ocean growth, veggie lover yogurt, beans, and common sugars. Keep yourself away from: Sleek nourishments, salt, desserts, and refined sugar. Eat: Natural products, bananas, dark fruits, coconut, steamed vegetables, green plates of mixed greens, leeks, cauliflower, onions, radishes, tomatoes, asparagus, cucumbers, beets, beans, lentils, and almonds. Keep yourself away from: Sleek nourishments, yeasty substances, salt, desserts, and refined sugar. Eat: Wheat, entire grain oats, rice, oats, organic products, apples, grapes, oranges, lemons, peaches, plums, steamed vegetables, spinach, onions, kelp, beans, dates, and common sugars. Keep yourself away from: Espresso, sleek nourishments, yeasty sustenance, asparagus, salt, desserts, and refined sugar. Eat: Cranberries, asparagus, beets, cauliflower, cucumbers, spinach, onions, radishes, pumpkin, nuts, beans, and horseradish. Keep away from: Rich and substantial nourishments, and inordinate measures of starches. Eat: Entire grains and oats, oats, natural product plates of mixed greens, organic product juices, lemon juice, bananas, oranges, verdant greens, vegetables with flavors, grows, soups, teas, and almonds. Eat: Rice, organic product servings of mixed greens, natural product juices, oranges, lemons, vegetables with flavors, cabbage, corn, potatoes, grows, soups, teas, peanuts, figs, and flax seeds. Keep yourself away from: Rich and overwhelming sustenance, zesty nourishments, and chocolate. In conclusion, to get a successful result or outcome of your diet you should be on regular and continuous process, it is not like that you take up one day and give up the next day. If it is possible try to maintain a diary of each day dieting and try to maintain traits according to your zodiac signs what I have mentioned above. If you have any other question, do post in comment section below. If you want more elaboration, you can also let me the know the same. Happy Dieting!! !